Our goal is for you to see great till 98! 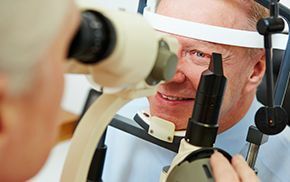 We can assist you with your total eye care to include routine eye care, glaucoma care and treatment, diabetes, cataract management and surgery, including premium lens implantation for management of astigmatism and presbyopia and a whole host of other conditions such as injuries, infections, or corneal and eyelid problems. Furthermore, we can take care of all your contact lens needs, including specialty lenses such as toric, multifocal and lenses for keratoconus. Alden Leifer, MD and Associates has built its reputation upon delivering the highest quality medical and surgical outcomes provided by a team of professional, ethical, and compassionate doctors and staff. We pride ourselves on keeping up with the newest and best technology available. Time is spent with each patient to allow for understandable and complete explanations of all conditions. The practice environment is specifically designed to ensure patient comfort, warmth, and privacy. The focus and indeed the very philosophy of this practice is based upon total patient care, ensuring that your experience at Alden Leifer, MD and Associates is even better than what you thought possible. Allow us to show you what makes your experience at Alden Leifer, MD and Associates so very different and special. 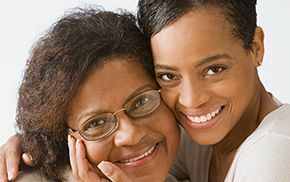 Our mission is to help our family of patients see great till 98. Our wonderful licensed optician, Marjorie Leon, better known as Rosie, services all our patients’ eyewear needs. We give away different prizes. Click the link below to learn more. 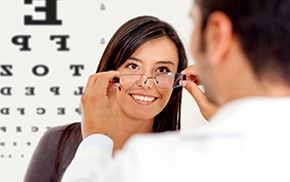 Dr. Alden Leifer has over a quarter century experience in the eye care field. 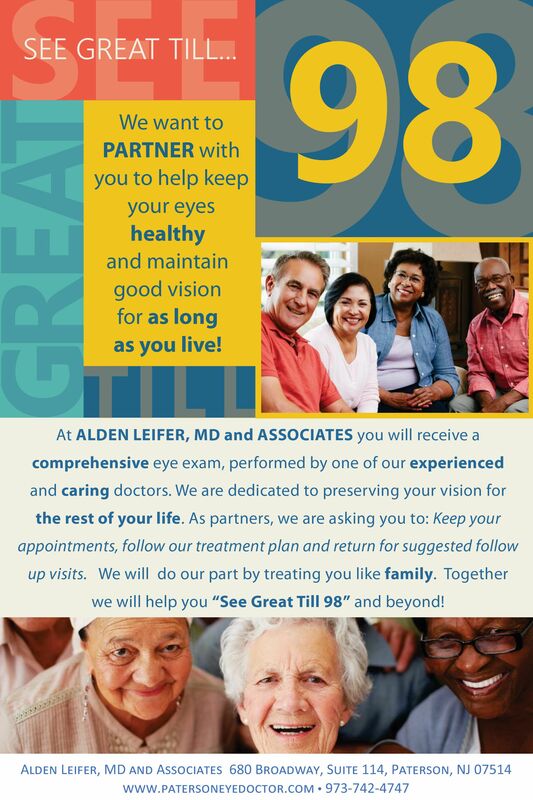 Located in Paterson, NJ since 1987, Alden Leifer, MD and Associates has developed into one of the finest and most outstanding eye care centers in the Bergen-Passaic area. Our physicians have trained at the most prestigious institutions and maintain their expertise so that each patient receives the highest quality, personalized care. Our office's mission is to work together with you to realize a shared vision of uncompromising excellence in eye care.